Hi God! It’s me, Mary. I just wanted to thank you again for giving me this wonderful opportunity to be the mother of the savior of the world. It’s the second best honor you could have ever bestowed. First, of course, would’ve been being the savior myself. Ha ha ha, I’m just kidding, I’m really just happy to have some kind of role in your greater plan. As long as I get a statue in every church is what I always say. Anyways, I’m praying to you tonight because it has been about two and a half months since I gave birth to sweet baby Jesus, and I’m having some problems with my post-baby body. It’s just not bouncing back like I hoped it would. My dream was to be the hot mom at the playground, the one all the mannies wanted to sip Jamba Juice and sit on a cold bench with. Amid nursing, diaper changing and nursing Joseph’s ego, I’m having problems fitting in time to exercise. I know, I know: #noexcuses, but I feel like giving birth to the Son of God is a really good excuse and should exempt me from certain human problems such as dumping 40 extra stupid pounds of baby weight. I mean, of course, I’m forever thankful that you chose me to be the Virgin Mother, and baby Jesus is a blessing to both Joseph and me, even if Joseph is still taking the whole “the baby isn’t yours” thing a little hard. I’m simply proposing that maybe you can help me take a few pounds off from my hips or maybe make my shea butter lotion a little stronger so that it reduces the stretch marks faster. I don’t need my six-pack abs back right away but it would be awesome if you could make one crunch equal to 20 and one burpee equal to 100. That way I won’t have to do as many to get my bikini body back. I know this is a lot to ask because you were really heaven-bent on Jesus being born the “natural” way, but I feel like you owe me. Now that the Beloved Son has been born au natural, you can do me a solid and give me back my body the mystical God way. No one has to know. It’s simple really. You see, your Holy Child has ruined my body and I want that part of me back. You and that stupid angel took that from me when you placed your tiny magical fetus in my uterus without even really asking! Your command has taken both a mental and physical toll, and the only thing that will make me happy again is if you give me what I want: a super-hot bod that makes me look like an angel. And not one of your angels—a Victoria’s Secret Angel! Oh, I am really sorry, I’m just so tired and irritable right now; I didn’t mean to be so harsh. I really just need a good night sleep. Can you give me approximately 10 extra hours in a day? I’d be super chill just getting that, I guess. Anyways, I’m sorry to bother you. I know you’re probably busy creating a new birch tree somewhere so it’s okay if you have to take a few hours before you can answer my prayer. You should stop by sometime. You don’t always have to look on from the heavens. I know Jesus always enjoys your visits and Joseph isn’t so bitter about you coming around anymore. It would be nice to see you. P.S. If you decide to bless me with a killer post-baby body, Beyonce’s is super tight and an inspiration. In the name of the Father, Son (wink, wink), and the Holy Spirit. Amen. At first when they were cutting me down I was really hurt. I had spent so many years in my family’s yard just minding my own business and occasionally offering shade that I felt betrayed. They’re cutting me down? Really? After all pine needles I’ve given them? But now I understand. I was always meant for something bigger, something greater, something holier. I was meant to be the largest, brightest and costliest soldier in the War on Christmas, the Rockefeller Plaza Christmas Tree. From the very first day they stood me up in the plaza, I just knew I was special. People stopped and stared as the lights slowly adorned my branches. Suddenly I had a purpose in this world, to remind people that Christmas is here to stay. I am on the front lines, ready to drop this Swarovski crystal star on any unsuspecting ice skater that dares to utter the words “Happy Holidays.” Ready to break a bulb over anyone who dares walk past me saying, “Let’s go to Starbucks.” I’m just a humble soldier in the trenches of the war throwing shade at anyone who insists on writing X-mas. It’s CHRIST-mas you dumb tourist, keep Christ in it. Who would have thunk that a little/big spruce like me would grow up to become a symbol of the season? Did you know that once I die, I’m immediately given a hero’s welcome to Christmas tree heaven where it snows all the time and the trees get to take turns holding baby Jesus? ButI don’t need all of that, I’m just happy to be able to serve. Fellow soldiers fighting the great fight in this decades long war on Christmas, bring me your nativity scenes, your Merry Christmas signs and your Christmas trees that you’re forced to call holiday trees and I will shine my lights on them so that they will know that they are not alone in this fight and that I, the greatest Christmas tree of them all, am the one true soldier to lead the masses through this ever under attack season of Christmas. Also, I’ll introduce them to Al Roker; he’s a really funny guy just like you see on TV! I have vowed to stand guard here in this Plaza amongst the tourists and streets lined with bacteria not yet identified, until my last dying breath; which will be on January 6th 2016 when they take me down and give me the funeral of a true Christmas soldier, becoming a Habitat For Humanity home. Mr. Trump and I don’t agree on every issue, but it has recently come to my attention that we both hold the power to alter the course of history. Donald proposes that as president he would have prevented 9/11 from occurring but looking back at the course of history I know I could do better. Perhaps one of the most impactful events in our planet’s history was the crucifixion of our Lord and Savior Jesus Christ. I recently spent a good deal of time in silent reflection on this issue and can confidently say that if I had been around in those days things would have gone differently. 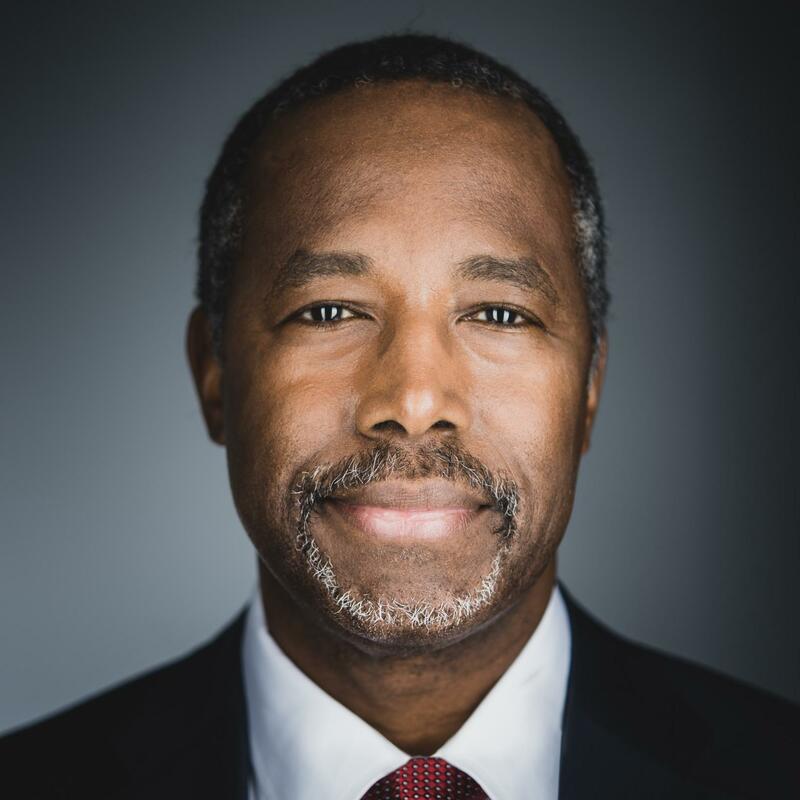 Seated in power as Emperor Ben Carson, the Christ Case would not have even made it to court. Instead, I would have stood up to the pharisees early on and said “Hey folks, this guy has some really good ideas, I think we should listen to what he’s saying and maybe let him stick around for a while.” It’s really not that hard to see how things would be different. As the Son of God, Jesus would not have perished on the cross and speaking as a doctor, I’m certain he would not have perished at all. Had I been in power at the time, Christ would have lived on to personally discover the Judeo-Christian nation we live in today. When my time as emperor was up I would have had the foresight to put in place laws to prevent the actions of the Caligula administration that followed. What we need in the White House is a leader who is willing to look back and see what things might have been done differently in the past to save our present. To maintain a sense of accuracy, please read in a dreary mumble.